March 23 Seminar - Workshop on "The Language of Autism"
The seminar - workshop aims to equip participants with knowledge and understanding of speech, language and communication. It was designed to help parents and carers to handle persons with autism (PWA) focusing on creating communication models and situations that will facilitate spontaneous communication, use enhancement techniques given communication opportunities, expand communication skills of PWAs, repair failed communication attempts and improve social communication. Likewise, it will help participants identify hindrances in order to maximize the child’s communication skills to better facilitate communication. 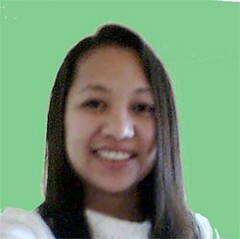 Ms. Kathy B. Reyes CSP-PASP is the co - owner of Independently, a family centered clinic in San Pascual, Batangas. A consultant in various provinces in the country. She currently engages in research and continuing education of speech therapists in management of children with various speech and language related disorder. For the past 11 years, Kate has been a clinician, researcher, teacher, and consultant. Her main goal in practice is to help fight for the rights of children with disability and mainstream them in the society. Pre-registered participants may pay to Autism Society Philippines, Metro Bank, Kamias Branch Account # 047-3-04751874-2. Please fax the deposit slip with the name/s of participant/s to ASP office and bring it on the day of the seminar. No on-site registrants will be accepted for this seminar-workshop. There will only be 30 slots available. No refund will be given to participants who did not show up on the date of the seminar. For more details, please call ASP at 9266941/9298447.